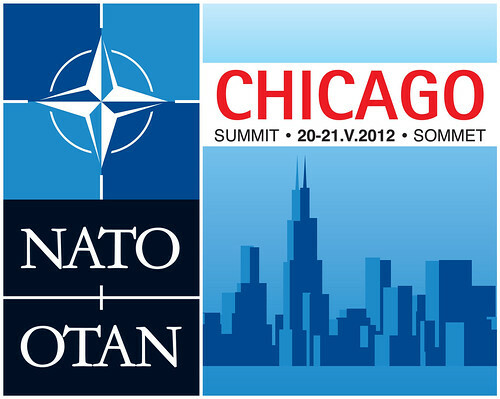 City and federal authorities have reacted bizarrely to the revelation that the Red Cross has been ordered to prepare for the possible evacuation of Chicago during next month’s NATO summit by refusing to acknowledge that the directive came from them. Chicago area tenants were also informed by management agencies that they should get ready to leave their homes in preparation for major rioting. Despite the fact that the plan for evacuating citizens has stoked paranoia and confusion amongst residents, information about the procedure has seemingly been placed on lockdown. It appears highly probable that many of the policing methods and emergency planning provisions are so over the top that authorities are loathe to disclose details for fear of a backlash before the event. This reminds us of the previous administration’s continuity of government plans for the aftermath of a catastrophic event that were deemed so secret that even Congressman Peter DeFazio, who sat on the Homeland Security Committee with clearance to see classified material, was barred from viewing the details. “Maybe the people who think there’s a conspiracy out there are right,” DeFazio said at the time, which is precisely the reaction the refusal to acknowledge the Chicago evacuation plan will also generate. The effect that all this has is to create the perception that the mere act of exercising First Amendment rights is somehow dirty and criminal, and that it needs to be countered by the state using clandestine means with plans that are more suited to responding to debilitating terrorist attacks than public demonstrations. The NATO summit represents a massive photo opportunity for the government to showcase how America is now a militarized police state, sending the message that any attempt to protest the new world order will be met by an army of gun-wielding goons, invasive surveillance technologies and pain-inducing torture tools.